There’s a myth in Southern Ohio about an apparition that seeks to live again. 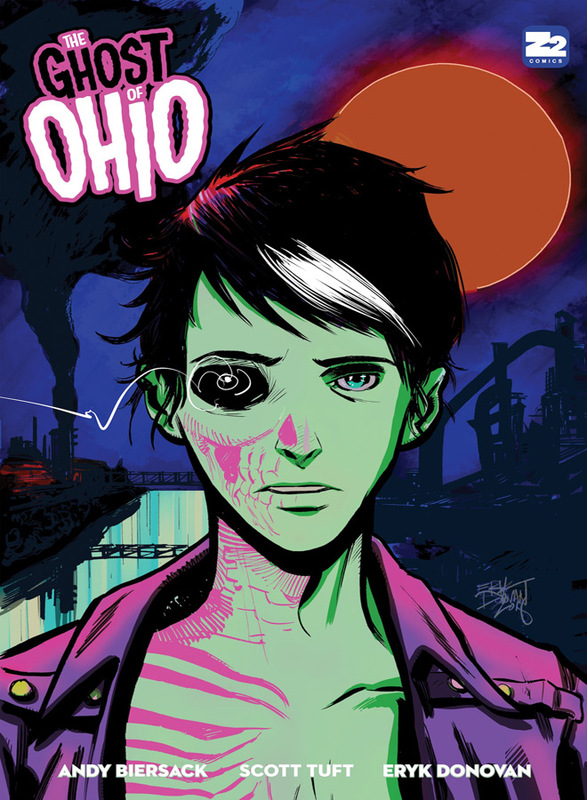 From the mind of Black Veil Brides’ Andy Biersack comes The Ghost of Ohio, a brand-new graphic novel that arrives Friday, April 19, 2019, thanks to Z2 Comics. More than likely, you know Biersack (aka Andy Black) as the lead vocalist of the hugely popular Glam Metal outfit Black Veil Brides. With the band, he has released 5 albums over the past 13 years, most recently 2018’s Vale. In 2016, with a string of Billboard Top 10 and 20 albums under his belt, Black opted to stretch his creative wings and step outside of the confines of Glam Metal to author his first solo offering, The Shadow Side. This put Biersack back in touch with himself, musically, and paved the way for his sophomore solo release, The Ghost of Ohio, which just arrived on April 12th. Z2 Comics has been making a name for themselves, releasing quality graphic novels since 2012. In 2016, Z2 began collaborating with musicians to create graphic novels centered on unique stories and exclusive music. That idea led them to work with the likes of Dan Auerbach of The Black Keys, DJ Paul Oakenfold, Jazz Trumpeter Dave Chisholm, and others. Two-thousand and eighteen marked a landmark year as Z2 partnered with Japanese Metal band BABYMETAL on the popular Apocrypha: The Legend Of BabyMetal, which is one of the best-selling graphic novels the company has released. With the upcoming release of Eden: A Skillet Graphic Novel, as well as other soon-to-be-named collaborations, Z2 Comics continues to push the envelope with their seamless integration of music and comics. 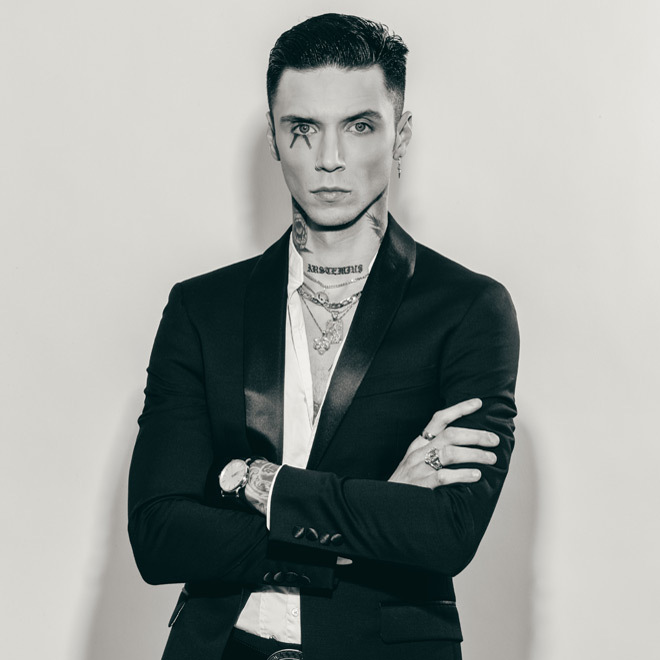 For The Ghost of Ohio graphic novel, which coincides with the album release of the same name, Biersack has created an original story idea alongside the creative team at Z2. Scott Tuft, known for his work on the Severed and Swamp Thing titles, wrote the comic with Biersack, while Artist Eryk Donovan, best known for his Batman creations, has created the novel’s cover. Inside the 152-page graphic novel — which comes in a fairly standard 7 x 10 inch physical format, as well as digital — the artwork’s coloring is done by the talented Aladdin Rutledge Collar and its lettering is created by Justin Birch. Overall design comes thanks to Tyler Boss. Life is never simple and our story begins at the end of a life. A young musician finds himself taken with a young, red-headed woman named Bella, who works at a sweatshop and is beaten by her brutish boss. When he follows her to her job and intercedes on her behalf, he will quickly become a victim of murder. Mutilated and then tossed into a river, he is now a specter, the nameless Ghost of Ohio. Only those who can see the truth can lay eyes on the Ghost of Ohio. These are key figures throughout our tale, individuals such as Suellen, a suffragette in search of equality and voting power for women; Sydney, a young African-American who wants to become a journalist one day; quiet Cornelius with his political aspirations; and the leather-clad rebel Owen, who embraces destruction while wearing only black. Roaming the Seven Points area of Ohio, in Cincinnati, our specter arrives into each of these individuals lives on the eve of a great event wherein his presence is an asset. Every superhero must have an arch-nemesis, right? The Order, headed by Dr. Knight, serve as the evil that propels our hero into action. Here, the powers that be do not want change, so they build walls (sound familiar?) and institutions to avoid growth or to lock those who seek it away. They are intermingled with one of the greatest evil to ever exist, the Ku Klux Klan, fighting to continue prohibition, to block women’s equality, and to covertly control society for their personal agenda. Crossing over 100 years in time, the Ghost’s tale involves flashbacks that provide his backstory, a rendezvous with the aforementioned KKK, a great flood and a great love, as well as a surprising traitor who lurks in the mist. A story of truth peppered with loving rebellion, The Ghost of Ohio is definitely not a simple, autobiographical tale about a boy from Ohio. Purported to be “a Gothic adventure for the ages,” it would be hard to classify The Ghost of Ohio as truly Gothic. Dark, moody, but ultimately triumphant, the graphic novel comes across as more of an underdog story that invites the downtrodden and the black-clad masses to defy the established order and rise above in the name of truth. So, while there is certainly death and, sure, there’s a haunting, the novel doesn’t exactly fall into Gothic territory. That said, throughout the novel there are tidbits of humor, plenty of wisdom, and even a batch of U.S. history — from the suffragette movement to prohibition, Roosevelt’s push for electrification to a slight suggestion of modern laboratory research. 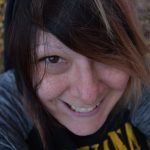 Biersack’s story often explores the might of the pen over the power of violence, and includes other such universal themes as the healing power of love (“in love all things are possible”) and the eternal search for truth. It’s not a bad story and there are definitely quite a few lessons baked inside its pages. So, is The Ghost of Ohio worthwhile? Well, that really depends upon why you’re checking the graphic novel out in the first place. For fans of Biersack, clearly there’s no reason to pause before ordering the novel and adding it to their collection — particularly in conjunction with the album of the same name. Biersack’s creative talents are solid and he has authored a tale that will no doubt be embraced by his young fans. For those simply looking for a new graphic novel to imbibe, that’s a different story. The actual story here is entertaining enough for a read-through, but it is also nothing particularly special so far as underdog tales go and there are several glaring grammatical mistakes. However, the artwork and coloring throughout are wonderfully done and eye-catching, setting a suitably moody tone. While the inclusion of key moments in U.S. history is intriguing, there is not enough material to say that this is a book for history-lovers; rather this is a book aimed at the disenfranchised who desperately seek a change in the established order. No matter how you slice it, The Ghost of Ohio is done well for what it is. Though many fans are probably expecting an autobiographical tale of their idol Biersack, they are likely to still find something to enjoy inside the lugubrious pages of the vocalist’s first graphic novel. For these reasons, Cryptic Rock give The Ghost of Ohio 4 of 5 stars.